This will be short. It was a long day. 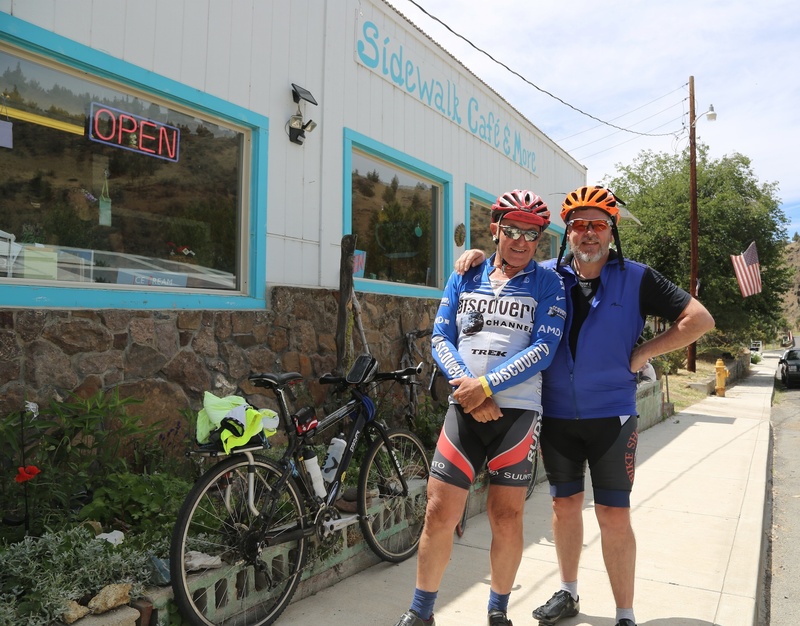 I met and befriended a guy from Israel, Yoram Ephraim, and we rode together. We crossed two peaks of about 4,500 feet or more. We rode 86-88 miles, depending on the device used. We finally, FINALLY got some great weather. For the first time in a week I applied sunscreen. And we watched Oregon transform from rain forest to high desert. (Read the rest of Mark’s post on his blog here). What fun to see Mark have a new biking buddy! Yoram is also riding his bike across the country but on a different route. He is 63 yearsold but a very young spirit at heart and carrying everything he needs on his bike (except for today, when I am carrying his stuff in our car). We had some meals together and some laughs and will still be together for one more day before we have to say goodbye. While the guys were riding, I took a little side trip to see the “painted hills” of Oregon and all I can say is whoa. I was actually speechless. I swear the landscape in this part of the world in something surreal. 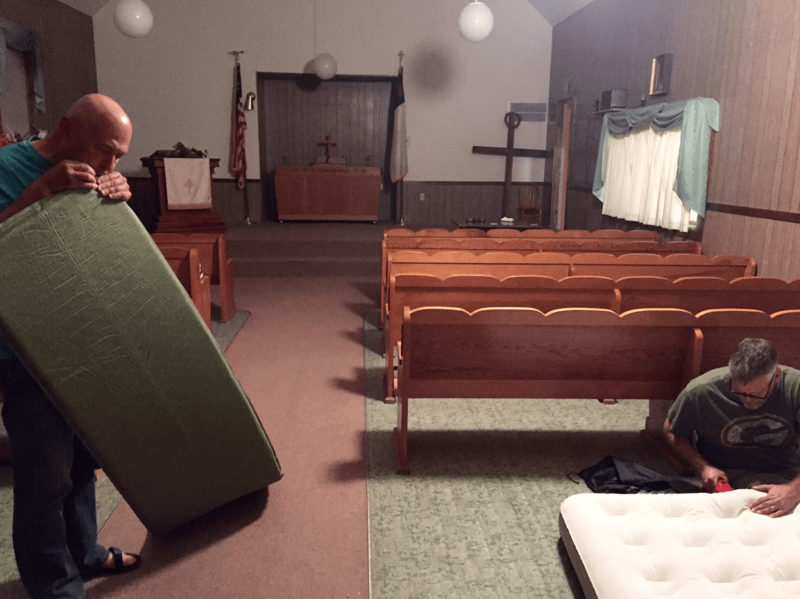 Tonight we are sleeping at a church in Dayville, Oregon that is part of “Warm Showers” an organization that is like couchsurfing for cyclists so there is no cost! We have the whole church to ourselves, a full kitchen, laundry machines and a warm shower, of course! Pretty sweet deal and makes me feel good about the kindness of other humans.